In iOS 7, Apple redesigned the user interface from top to bottom, removing most “skeuomorphic” elements and giving the OS a cleaner and lighter look and feel. Back in January, it was reported that OS X 10.10 — code named Syrah — would also see a flatter redesign, but that it would not see as extensive a reworking as iOS did. 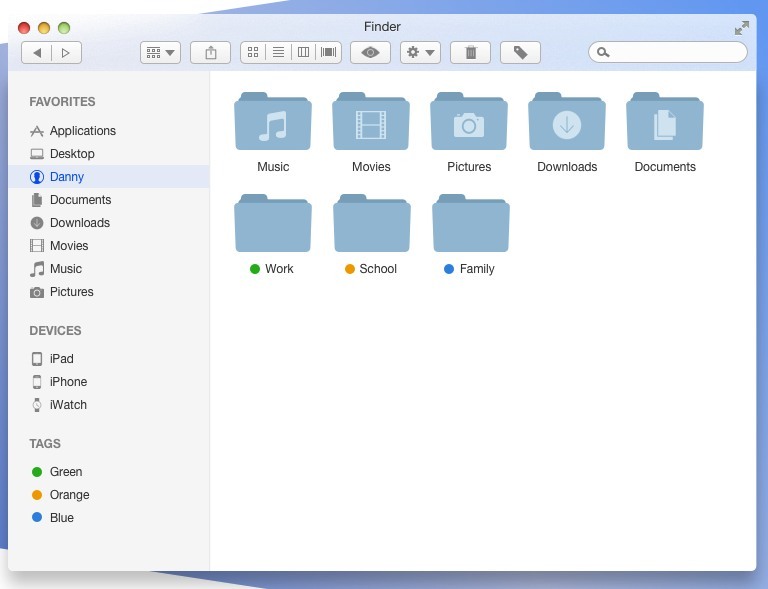 This is a concept for Mac OS X Syrah, expected to be published in September 2014. 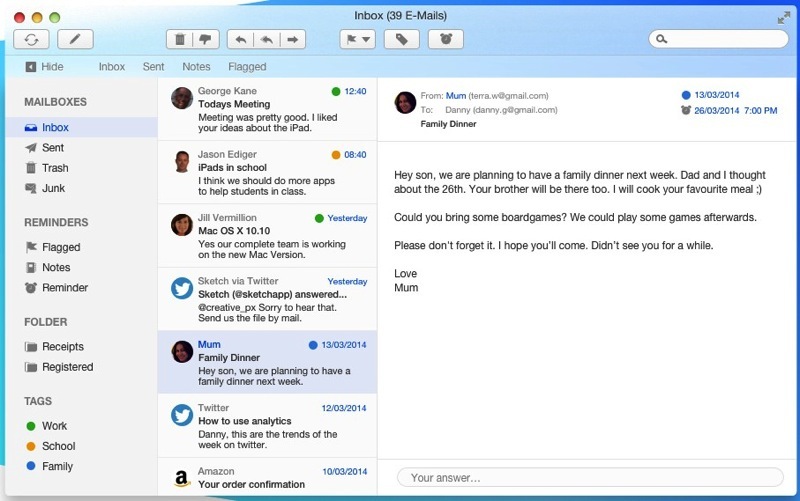 It’s based on the new flat design approach of the Contacts and Notes App introduced in Mac OS X Mavericks. It is not known what Apple will call the next version of its OS X operating system, but may show off the new OS — and its new California-inspired name — at WWDC in June of this year. Over the past several years, Apple has tended to release its new Mac operating system in mid-Fall. Apple today seeded build 13D21 of OS X 10.9.3 to developers, one week after releasing the second OS X 10.9.3 beta, build 13D17 and two weeks after the first 10.9.3 beta. The beta is available through the Software Update mechanism in the Mac App Store as well as through the Mac Dev Center. Apple is currently asking developers to focus on Graphics Drivers and Audio. As was discovered with the first beta, 10.9.3 adds new support for 4K displays, offering “Retina” resolutions that improve readability along with support for 60Hz output from the Retina MacBook Pro. Apple has also released the new 11.1.6 iTunes beta to developers, which was initially seeded to Apple employees earlier this week. The beta restores the ability to locally sync contacts and calendars, a feature that was removed with the launch of Mavericks. Apple has pushed a new release of Java 6 that fixes a new vulnerability discovered just a few days ago. Somewhat confusingly, Apple delivers updates to Java 6, while Oracle delivers updates directly to Java 7 users. “We detected a brand new Java zero-day vulnerability that was used to attack multiple customers,” FireEye security researchers Darien Kindlund and Yichong Lin said in a blog posted Thursday. “Specifically, we observed successful exploitation against browsers that have Java v1.6 update 41 and Java v1.7 update 15 installed,” they said, referring to the two most recently released versions of Java 6 and Java 7. Lion and Mountain Lion users should download Java for OS X 2013-002. This file updates Java SE 6 to 1.6.0_43, the latest version released by Oracle. Snow Leopard users will download Java for Mac OS X 10.6 Update 14, which delivers the same version of Java 6. The last update for both Java 6 and 7 was released in mid-February to fix a different security vulnerability.